Antares as we first saw her at Fleetwood. Thank you, Dave. I just bought a 1976 Fisher 25 myself, and will be following your work here. I’ll be ripping out and replacing many of the same stuff as you (though not the fuel tank, I hope!) and repairing leaks in the cabin trunk, and maybe some upgrades. So all I can say is… post more pictures!! 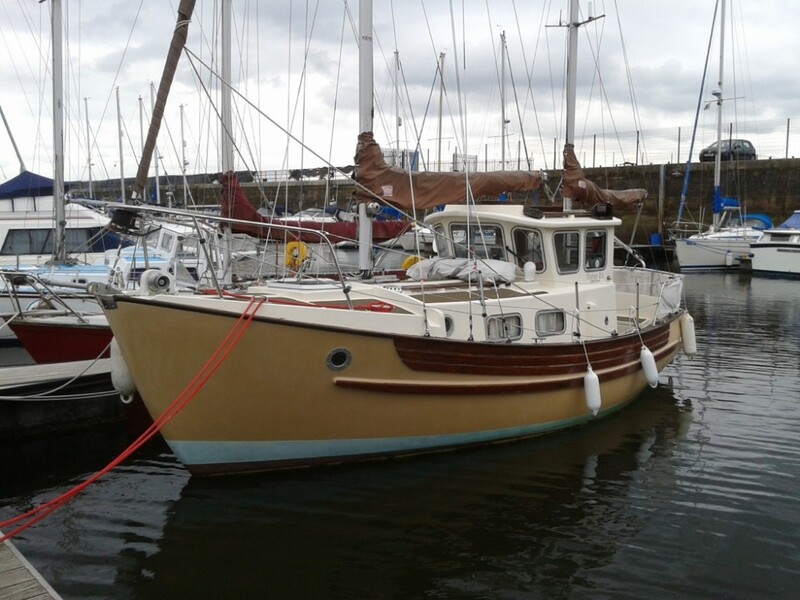 Good look with the Fisher Antares is our second …we used to have a 1973 one “Ondine” about 20 years ago and the wife never forgave me for selling her as she always felt safe in heavy seas. We have now replaced all the headlinings in the boat using 9 metres of foam backed Vinynl and two metres of sticky back carpet and black foam for forward cabin. Sorting all the rain leaks has been fun and we still do not have a weather tight boat yet, but close.